04H-10 5873J01? No such references on the internet! The little tabs are still a mystery to me. I had a bunch of these SMT components which I did not index properly 4-5 years ago (promised, that was the last time I ever was lazy). Sadly, their reference 04H-10 5873J01 brought nothing back on the whole internet... They came in proper SMT strip and they are large enough to sport decent markings though. Alas, I called for help on G+ and/but I ended up sacrificing one open. 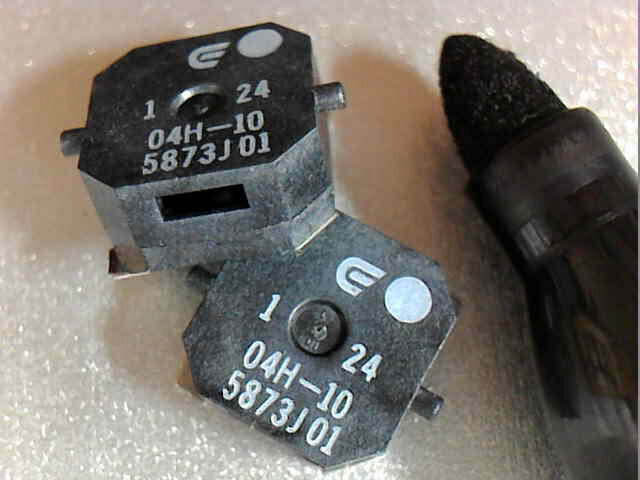 Initially I thought they were atmospheric pressure sensors, because of the opening to the side. But no, they are just completely dumb SMD electromagnetic buzzers. The kind with an old-school little coil that pulls a small metallic disk. Nowadays we tend to see more of the piezo electronic kind, but they still have a role because they slightly smaller and they work at a lower voltage (they are just bad in every other respect!). Being passive, they also need variable current to emit sound (they simply click once with a constant current), and I suspect they are able to vibrate at more than one frequency, i.e. they might be able to transmit sound and voice when a piezo buzzer cannot. I would have to check these ones, but I do not expect their frequency response to be good anyhow. I shortly dipped my phone in sea water and the charging/battery control circuitry and micro USB plug got oxidized beyond repair (salt is really terrible). I could have saved it at the time if I had a chance to open it and carefully rinse the electronics with non-salted water immediately, but I miss my tools on holidays... While waiting for a replacement part to arrive, I had to recharge the battery the DIY way. 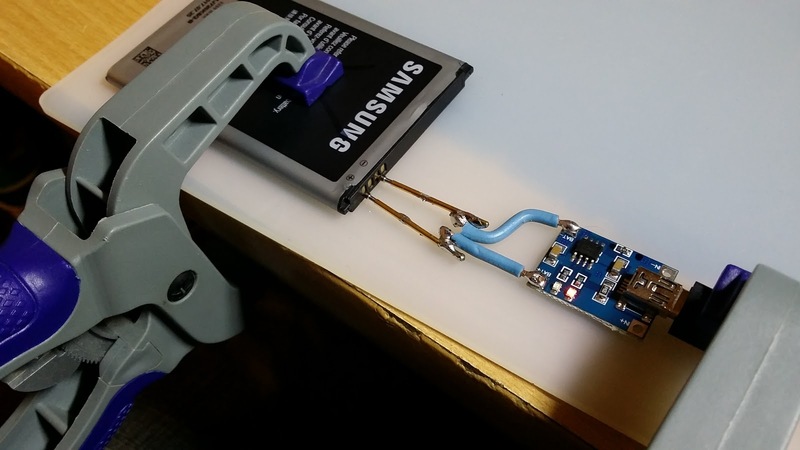 Recharge a smartphone battery with a super cheap lithium ion recharging module and pogo pins. They are maintained in perfect contact with clamps on a soft silicon mat. You may remember in a former article the super tiny rivets I bought for double sided prototyped printed circuit boards (these but check those, they are way cheaper!). I realize that I never documented how I used them. So here it is. Top and bottom layers: making vias by means of PCB rivets on a double-sided milled PCB. and the layers were mis-aligned after the board was flipped over to mill the top side... I need more practice. 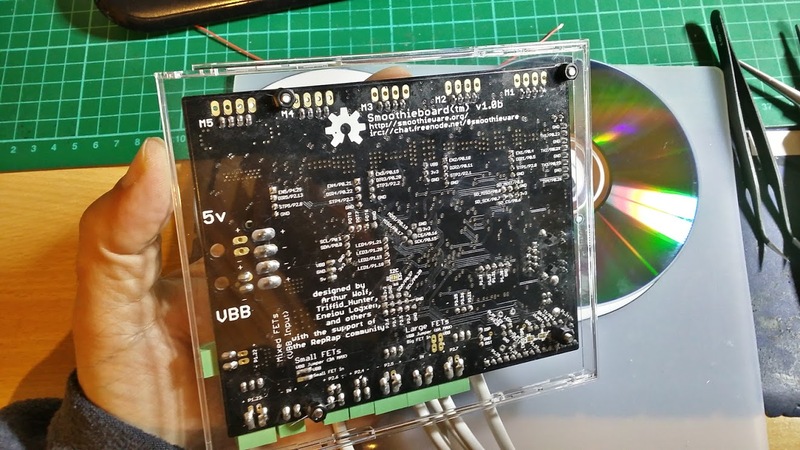 Now, rivets still help to make more robust single sided PCBs, most notably for the connector holes that will be subject to mechanical stress. Rivets will protect and keep the small copper "rings" tightly bounded to the PCB support material, so they will be less likely torn away. Most notably, dirt cheap bakelite boards give no second chance in this respect, while fiberglass (FR4) endure more abuse and re-soldering. I guess the bonding is much stronger with the latter. Which PCB rivets to buy? I recommend 0.8mm outer diameter (0.6mm ID), because there their heads leave just enough room to route a trace between them. Hence in EAGLE CAD, I make sure to configure my vias to be 0.8mm accordingly, so they fit tightly. 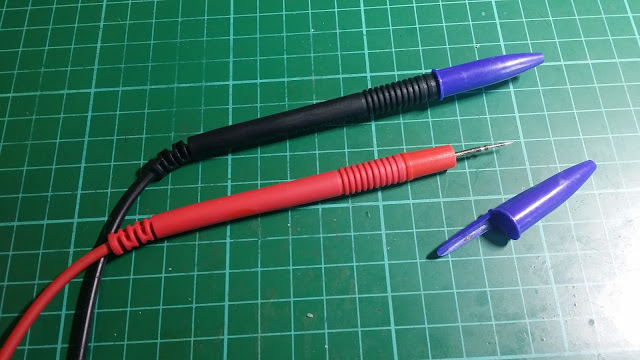 You can build yours (see my former review), but you can buy them already made: these $10 sub micro ampmeters on ebay work pretty well from 50mA down to 0.001mA. This range matches nicely the currents of many sensors, including when they are in deep sleep mode. This range is very convenient for IoT autonomous projects and sensors, and the 5 digits makes it unnecessary to switch between milliamperes and microamperes like on a multimeter. You lose one digit when plugged backwards. The feature is not really interesting except that it makes it safer (you will not burn it by accident). $10 for these micro current meters is a bargain! 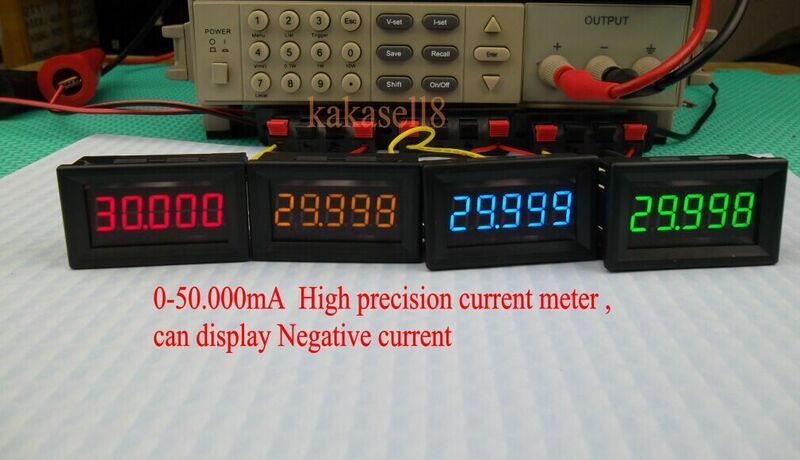 They really are straightforward to use, and they do measure very low currents: the display goes as low as 0.001 mA, ie. 1µA, but I am not sure it is reliable at that level -- anyhow, below a few micro amps, the self-discharge rate of a battery usually becomes not negligible, so there is often no point in fighting further to reduce the sleeping currents. A CR2032 coin cell can run for years at this level, so you would better start optimizing also the wake-up consumption (make sure to read this impressive in-depth review on the matter!). 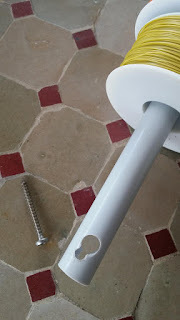 In this regard, I made a very simple but efficient holder with a plastic tube, a screw, and a bolt. 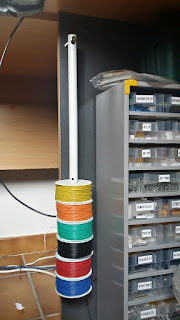 It stores some of my spools of wire (show here with the 30AWG single core spools I use for wire wrapping, perfboard, or some repairing jobs). 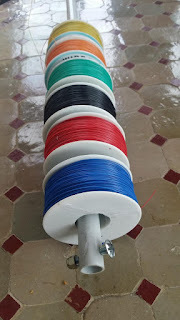 When I need some wire, I usually detach the entire bunch without removing individual spools. The next thing would be a horizontal stand when I need them for a long period over my desk. CD case as material for an engraved logo. I really did not expect it to produce such a nice result. Light coming from aside gets scattered by the scratches (I should try adding SMT leds sideways). 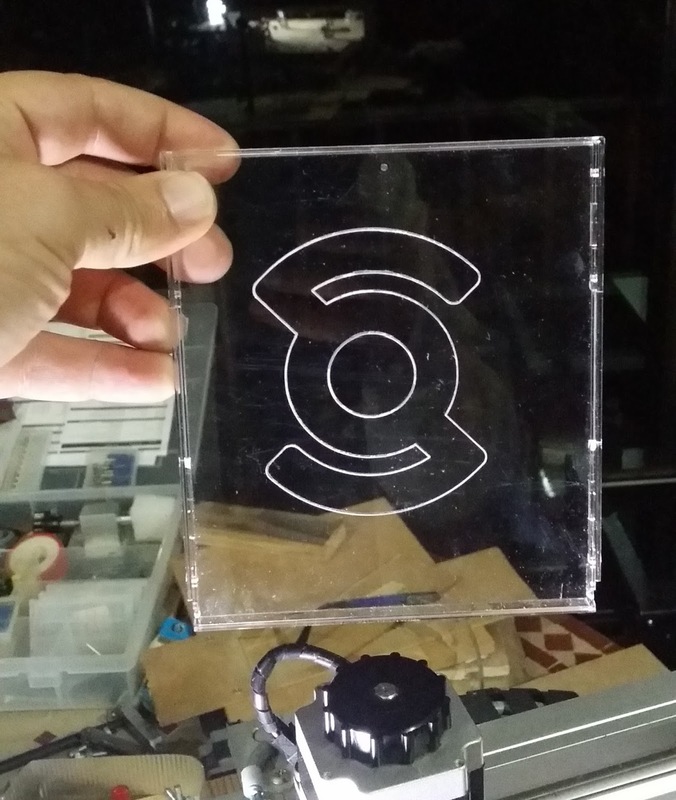 The trick was to move quickly, to avoid melting the polycarbonate. CD cases do break too easily, but they are very convenient as they leave the signal names clearly readable. The costly Arducam Mini 5Mpixel camera module. Warning, read before you buy, I do not recommend it! After weeks of fighting I came to the conclusion that the Arducam ecosystem is useless, and even counter-productive to me -- while its original goal was obviously the opposite. 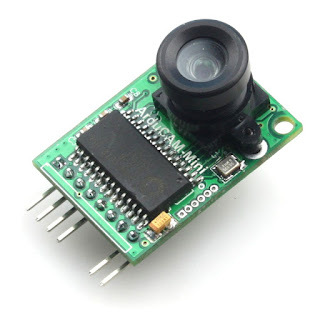 These camera are sold to provide pictures to Arduinos and other microcontrollers. The Arduino does not have enough memory, so these boards embeds enough processing power (FPGA?) and on-board memory to bufferize it and allow for serialized data to be stored and then transferred on demand. This way, the Arduino can store on an SD, or send it over GSM as I needed. Now, the hardware may be nice and promising, but the software is really bad in my opinion. This is strange to me as the Arducam is a wellknown project, and it is costly: I paid 43€ on watterott for example! But it did not help me work faster, on the contrary. I really had all kinds of problems with the software, trying to interface both on a Uno or on a Mega. The examples are half-baked, the API code source and the entire library is bloated with tens of variants of boards (28MB zipped just for the Arduinos!). Even the links to source code examples on some product page are broken. All in all, I consider that this somehow expensive camera is barely usable as it produces way too often invalid JPEG streams. Below is is a collection of many of the sizes I found on Banggood, mostly to give me a real life feel of the stuff and to have them ready for future projects. I never have the proper box and I often revert to 3D-printing. 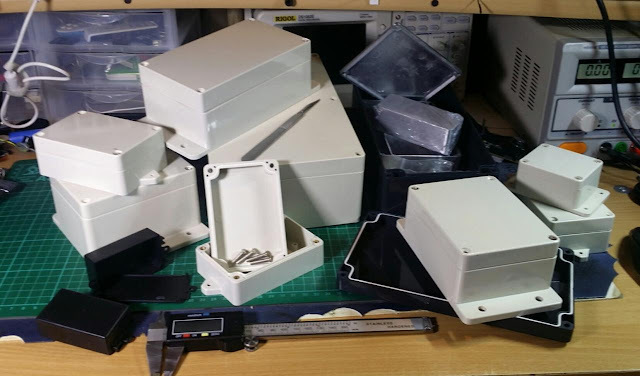 But they do not look always as neat or they are not as weatherproof as a regular box for some outdoor projects... and it takes a long time to print in any case. Probably not comprehensive, but a first-hand evaluation of many of the boxes found on Bangood. "Serious" crimping tools cost a lot, and are often outrageously expensive. I still ended up buying one at "only" ~$50, and it improve both my productivity and the reliability of my connections a lot. Specifically, and foremost if you just want to buy only one like I did initially, I highly recommend the PA-09 (the one below), which is suited for all Molex & JST crimps that I use as a DIY/semi pro guy. I liked this Japanese "Engineer" brand so much that I then happily bought the larger PA-20 (I do not use them often), in addition to a neat wire stripping tool for small diameters (which I use all the time, even though I have to admit that cheap ones probably do the job as well). You may want to check the many educated comments people left on my G+ post regarding these. You can check also Andreas Spiess review and comparison with a no name Chinese crimping plier, which I found out later, but which is awesome as always. Not cheap but worth it as soon as you have more than one crimp job to do! which highlight clearly how it works. KISS: protect your pointy probes with pen caps! Just to share, I eventually found a nice way to store DuPont wire cables efficiently (aka jump wires, or breadboard jumper cables). I re-shaped the movable separators in a super low cost, floppy box I bought on the internet. I should have taken a picture of the former mess. The cables would never stay in place before I had a chance to close the drawer! 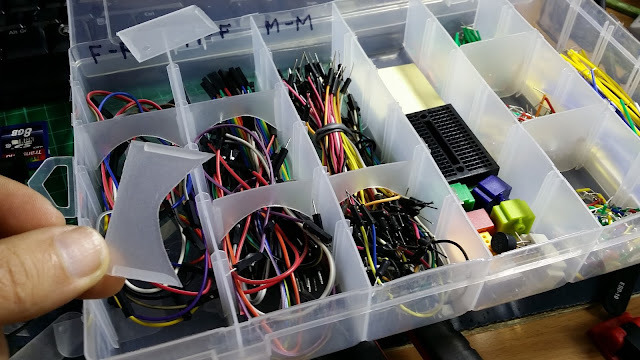 One definitive way to store prototyping cables efficiently in a box (female-female, male-female, male-male). These cables are also named DuPont or Jump wires, to use with "breaboards" (e.g. the small black one here). A client of mine is heavily using Samba (workgroup) from their Windows PC. I used to add samba shares or symbolic links within existing shares so they could access the data folder of different webservices hosted on the server. So far so good. Recently, they purchased a secondary server to off-load part of the existing services, but they would like to keep the convenient file access through Samba.